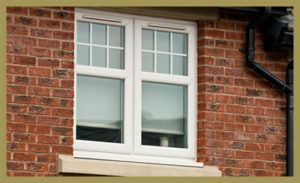 We can fit double glazed windows or traditional wooden frames with standard glass. We are also able to replace double glazed glass units that have ‘blown’ (where condensation appears inside the glass unit, giving a misty effect). As experienced plasterers and decorators we are also able to repair any damage to the inside or outside surfaces to an excellent standard and finish. We’re based in Blackpool, Lancashire and cover the areas of Bispham, Fleetwood, St Annes, Lytham, Poulton-Le-Fylde and Cleveleys. If you’re looking for any window or glazing service, just contact us on 01253 625 015 for a quote. We can usually give an approximation over the phone if you have the measurements. We are all familiar with the long term cost savings of replacing poorly performing or ill fitting windows. Modern windows are manufactured to be extremely energy efficient, ensuring the cost outlay is recovered far quicker than ever before. With the cost of heating our homes rising each year, it is important to consider the long term advantages of reducing your bills by installing high performance energy efficient units. Do I always have to replace a damaged window. No, not at all, TM Maintenance will always work to your budget and repair where appropriate. We can just replace glass or frames if required. I just have a sticking door or faulty catch – are you still able you help? Of course, we can re-hang internal or external doors to ensure they no longer stick, we are also able to replace catches and locks that have failed or have been badly fitted. We offer an affordable service, with many customers always surprised what an experienced tradesman can save them in repair rather than simply replacing a whole unit. Why Use TM Maintenance for replacing windows? We have over 40 years experience in building and handyman services including all aspects of window and door replacement and repair. Plus as experienced all rounders you have the advantage that we are also able to repair decorated surfaces to give an all round professional finish. If you’re interested in our window and door services, just fill in the contact form on our contact page here. Repair of damaged wooden window frames if replacement is not an option. A comprehensive maintenance service for oiling and lubricating catches and hinges, ensuring that they last longer especially living in a coastal area where salt erosion is a major problem.